On Tuesday, the Iranian Revolutionary Guard news agency FARS released a statement from the Foreign Ministry denouncing the version of the Iranian nuclear deal released by the Obama administration on Sunday. “What has been released by the website of the White House as a fact sheet is a one-sided interpretation of the agreed text in Geneva and some of the explanations and words in the sheet contradict the text of the Joint Plan of Action (the title of the Iran-powers deal), and this fact sheet has unfortunately been translated and released in the name of the Geneva agreement by certain media, which is not true,” said Foreign Ministry Spokeswoman Marziyeh Afkham. Afkham said that the negotiations between the White House, Russia, China, Britain, France and Germany were lengthy and rigorous due to disputes over wording – and she added that the deal points explanation released by the White House was inaccurate. FARS released its own version of the agreement, which matched the text released to the press over the weekend. 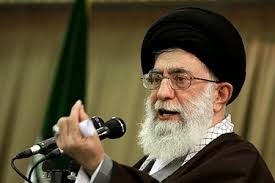 The Iranian Foreign Ministry did not state what in the White House explanation of the deal it found objectionable, but its opposition to the White House’s version of the deal demonstrates that Iran is already working to undermine the supposed freeze on its nuclear program. Iran also recognizes that it now has the White House boxed in, since President Obama and Secretary of State Kerry have been so adamant in pushing the Iranian deal; reinterpreting the deal by Iran puts both Obama and Kerry in the unpalatable position of having to disown a deal that was supposedly designed to buy time to come up with further negotiation points with Iran.